Since the Guardians of the Galaxy made a comeback with its second edition making its way to the big screen with a smashing hit, Star lord has become one of the famous characters in the Marvel Cinematic Universe. 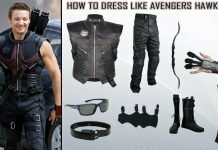 The Guardians of the Galaxy 2 comes with an exciting, thrilling and hilarious starter pack with its plot, exceptional and famous characters and action-packed features. The role of superhero Star lord aka Peter Quill is a fictional character made by Steve Englehart and Steve Gan and is played by Chris Pratt in Guardians of the galaxy movie series. The character of Star lord made its first appearance in Marvel Preview comic in the year 1976.Peter Quill is seen leading a space based team of superheroes and former criminals, The Guardians of the Galaxy as Star Lord. Apart from the being famous for possessing a brilliant mind and master of creating strategies and always being there to save the day with his team possessing alien-like abilities, Peter Quill is also famous for his elegant classiness that has been speaking all of the cosmic dialects. The costume that Star lord wears holds a special meaning other than giving him a style statement, it allows him to travel through space and grants him enormous strength. 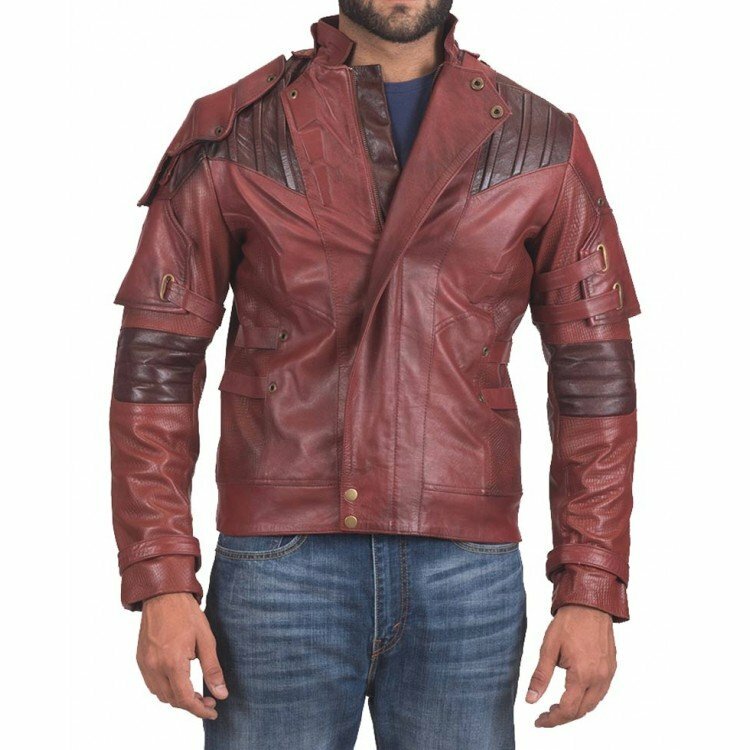 The Maroon leather jacket is the first and foremost piece of attire to be notice in star lord costume. 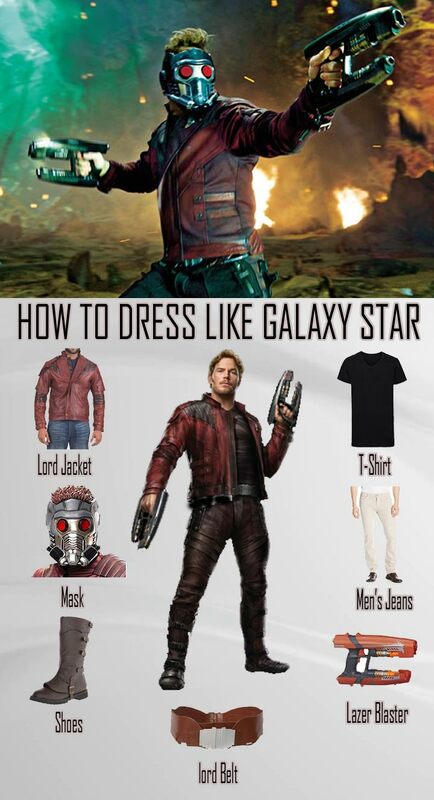 This maroon jacket, already breaking the stereotype of ‘Black Jackets are cool’ gives Star Lord a masculine look with. It’s made of good quality leather with comfortable Viscose quilted lining and detail stitching. 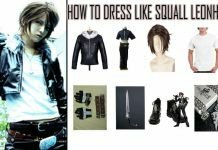 This jacket is Awesome, stylish, trendy and attractive in every aspect from the distressed look to its appealing color that gives it a fresh look. 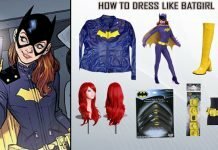 Make yourself party ready with the dashing comic con persona in this Jacket. 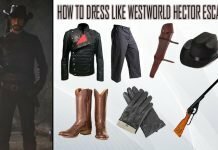 Star lord keeps his Star lord costume simple yet comical by wearing this black colored t-shirt made with cotton and polyester under his jacket and the trench coat. 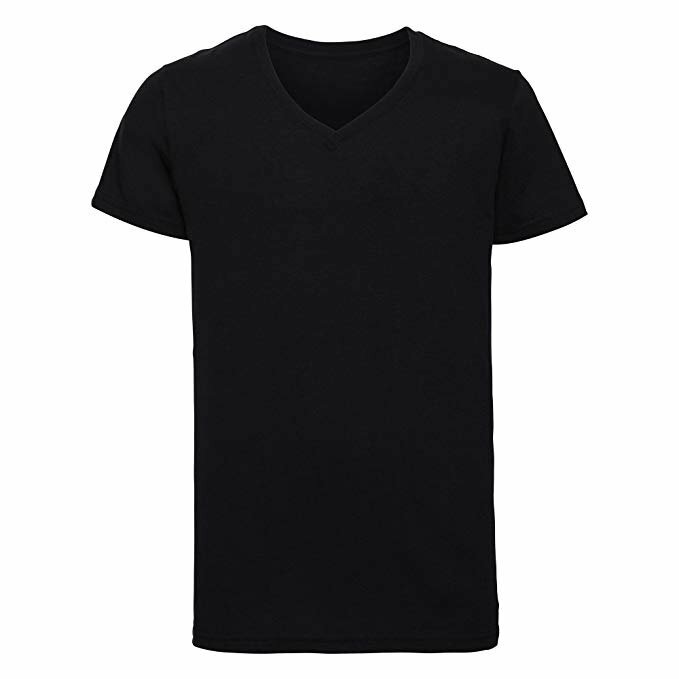 This simple and plain look gives this T-shirt a casual enough feel to be worn as an everyday attire. 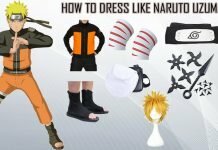 You can pair it with any jeans and you are good to go. One simply cannot afford to forget this iconic Star lord Mask. 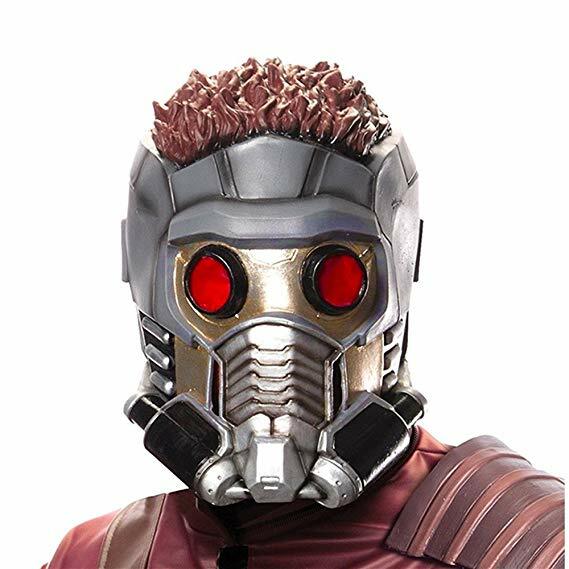 Star Lord is seen wearing this uniquely crafted mask while he was trying to steal the mysterious orb that contains power stone, one the six infinity stones. 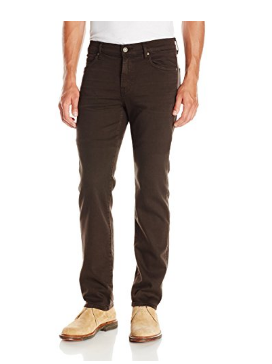 Star lord prefers to wear these simple yet stylish pants that are brown in color, and kind of go with the maroon of his jacket. 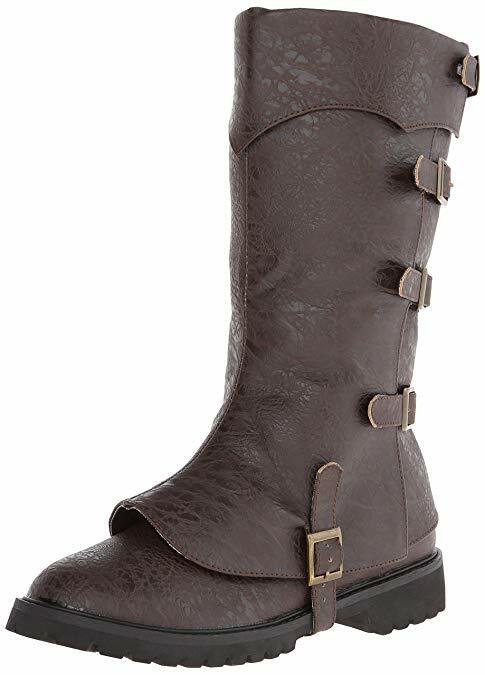 Peter Quill is seen wearing these classic long brown boots to match with his overall Star lord costume that not only safeguards the area they are being worn on but also help star lord in making a fashion statement. Made with Polyurethane these shoes are streaked with faux leather. These shoes complements the star lord’s costume and have helped him showing off his immense style on the big screens. 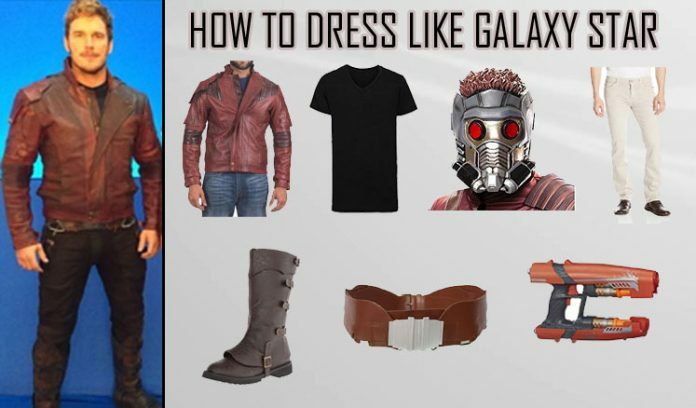 You can’t complete the Star lord costume without his classy belt made of PU. 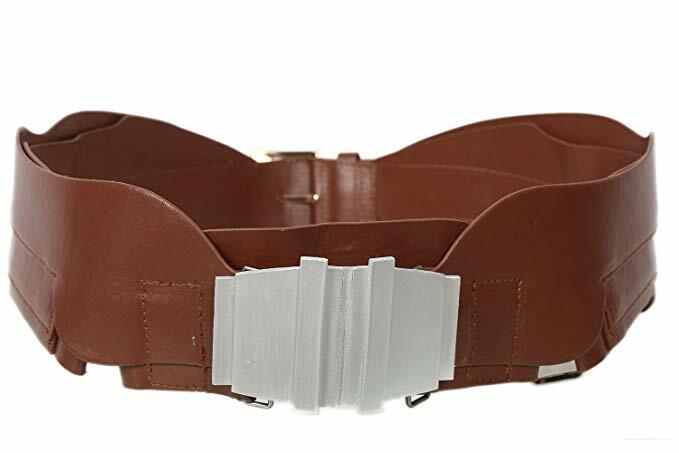 To add the finishing touch to your Mighty Star lord costume, you need this belt. 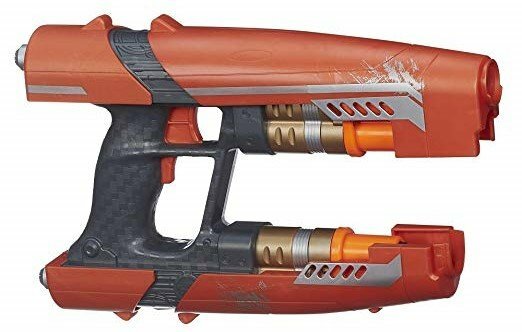 You can’t be a lord or a Guardian, yet alone of the entire galaxy without something to shoot on the bad guys, right? 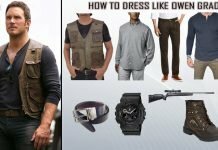 You definitely need this laser blaster made of safe material to make you look not-so-safe for the bad guys, because you won’t want to look like an ordinary Man dressed in a leather jacket, right? 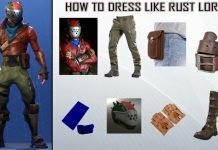 To discover the Galactic experience yourself with the elegant classiness of the Star Lord you need to follow our guide for the Guardians of the Galaxy 2 Star Lord Costume that will surely make you speak to all the cosmic dialects and granting your wish to become the interstellar avatar of Peter Quill aka Star Lord.